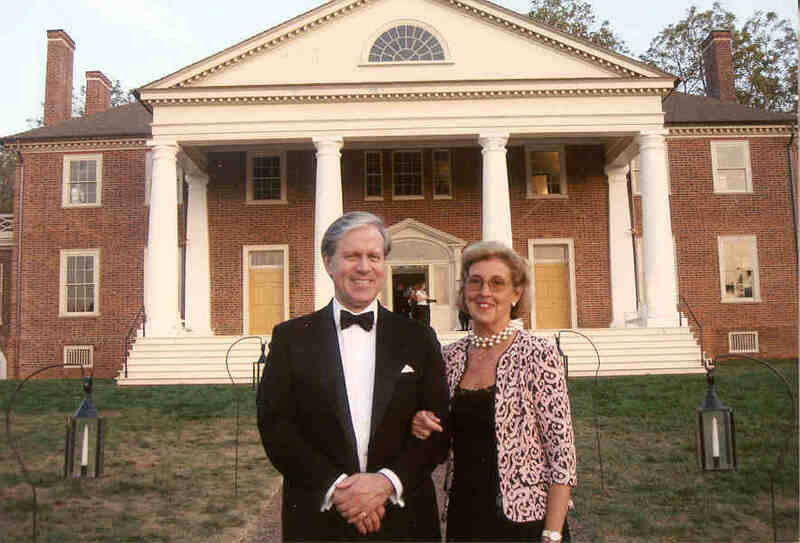 NSMFD President Frederick Madison Smith and former President Ann Bellfield Thornton at the September 2008 Gala celebrating the completion of Montpelier's restoration. Note: .pdf files require Adobe Acrobat Reader to view. Click here to download Acrobat Reader free of charge. All applicants must prove a continuously legitimate descent from one of President Madison's ancestors. Your membership, once verified by the membership committee, enables you to be a part of the extended family members of President James Madison, the 4th President of the United States and the “Father of the United States Constitution. You membership dues go towards supporting the Madison cup which is awarded each year to commemorate a person or group who has had a significant impact on helping to preserve the legacy and memory of the President Madison. It also entitles you to the an invitation to the Family Reunion which is held once every three years at Montpelier, James Madison's estate and ancestral home. You will be able to find links to important historical information about the President and learn more about your family’s ancestral roots. You will also receive the Society’s annual newsletter with important information about family activities. Most of all, you will be supporting your family and its mission to represent the interests of President for generations to come.